Hi everyone. 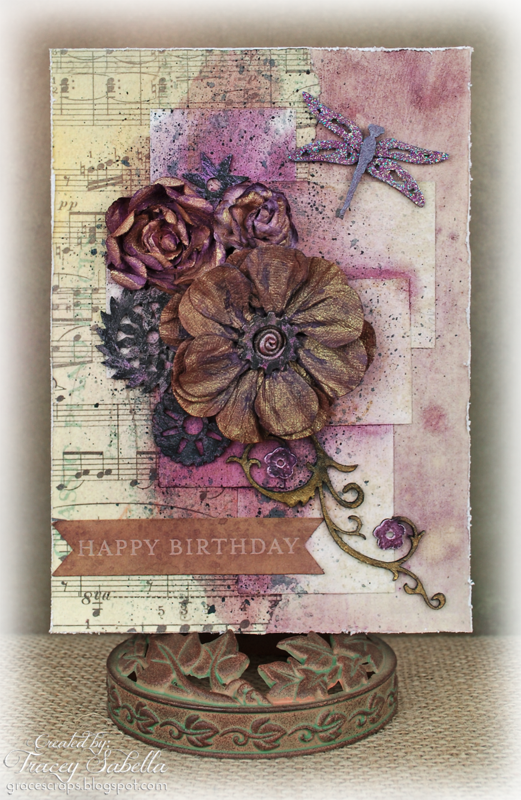 It's Tracey here to share a girlie grunge birthday card featuring Leaky Shed Studio chipboard. Maria's favorite color is purple, but she's not a girlie girl, so I had fun including grunged up gears from the Watch Parts collection. 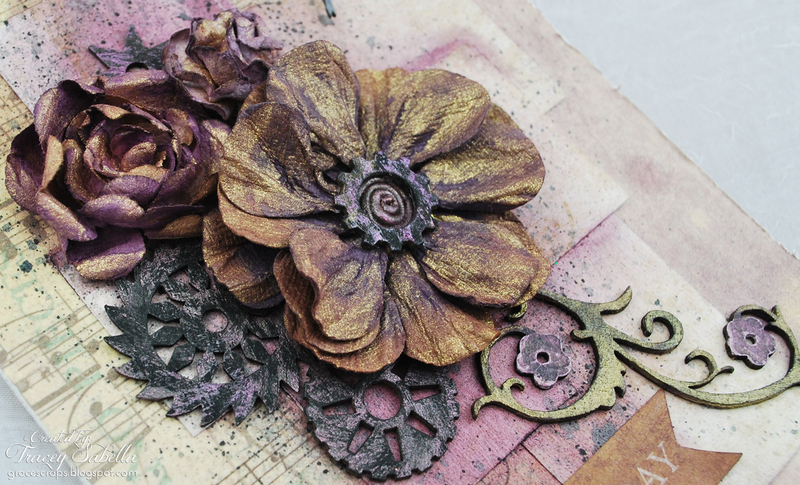 These Watch Parts are painted black, then dry brushed with metallic berry paint. I also used a small Watch Part in the center of my focal flower. Here's another view. 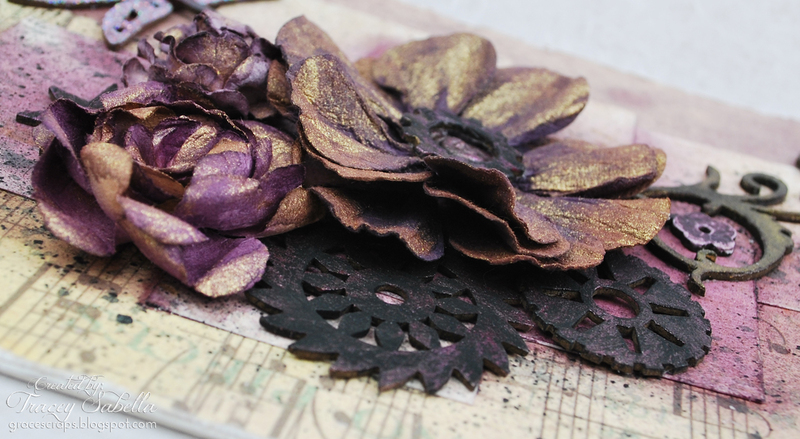 I mixed plum and gold Glimmer Mist to brush over the flowers to add some shimmer. This is half of a Flower Corner. 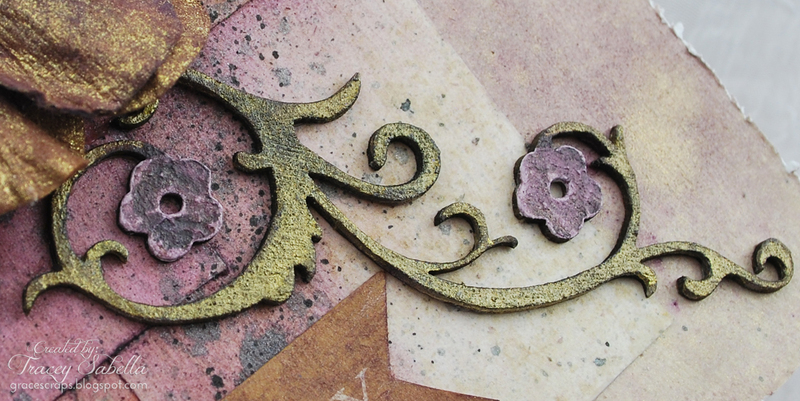 I started by brushing the flourish with clear gesso and flowers with white gesso. I then layered on different colors of mist. Mist is a form of water color and will reactivate when rewetted, so to keep the colors clear, I misted with Helmar Clear Kote Matte Varnish between layers. 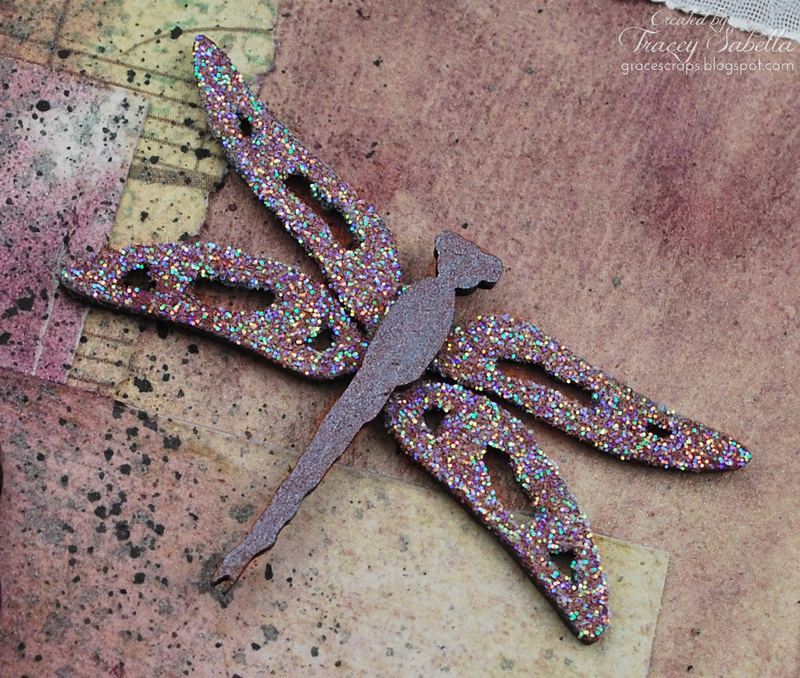 I colored this sweet Spring Dragonfly with Perfect Pearls, then added Sugar Shimmer Twinkle Dust Glitter to the wings. The background was misted in plum then splattered with grey and black. Again, I misted with clear varnish between colors. A full product list can be found on my blog, Garden of Grace. Oh my, these are pretty. 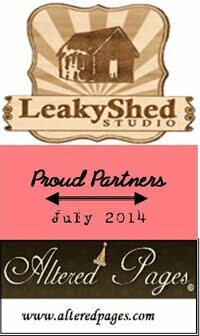 Thanks for dropping by my blog. A beachy and warm layout!